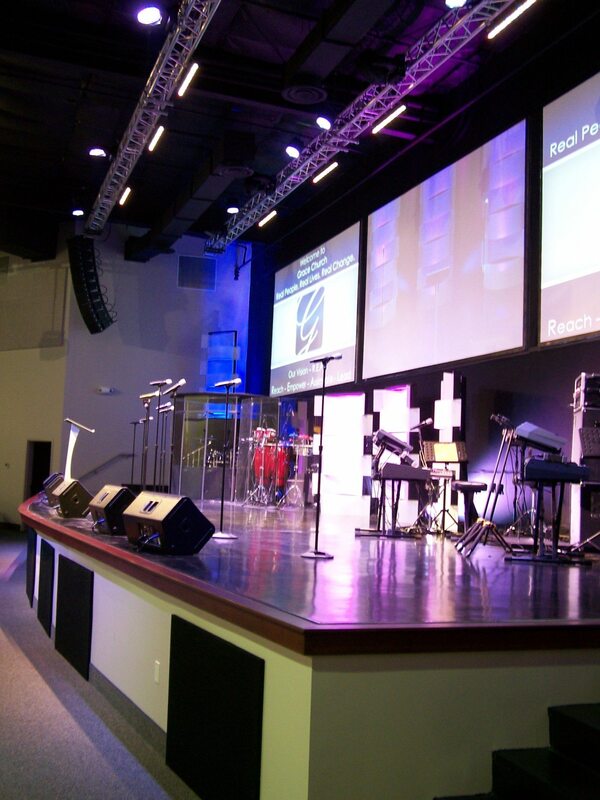 This dynamic church in Dumfries, Virginia, was outgrowing its rented space in a small office park. During the search for a permanent campus property, a 1960’s era warehouse space became available right next door to its current facility. 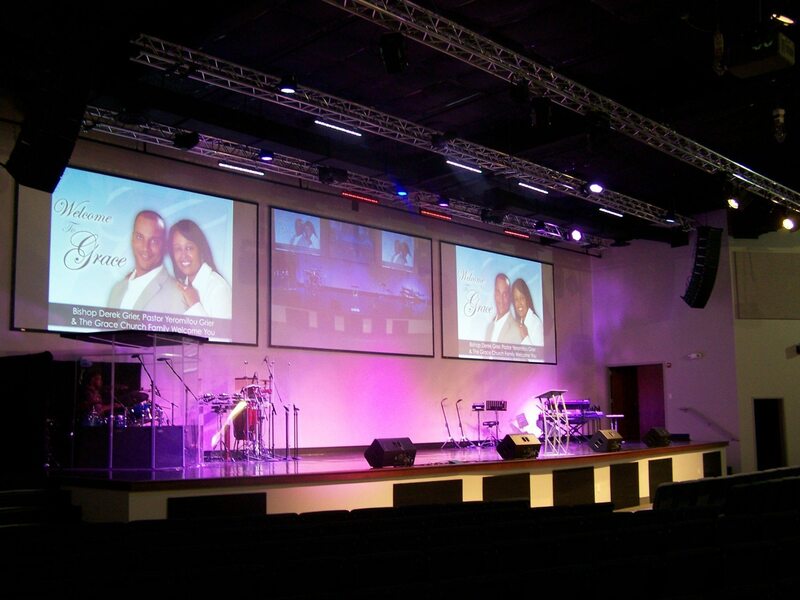 The church took advantage of the opportunity to alleviate their short-term overcrowding and Helbing Lipp Recny Architects was asked to turn the tired building into a worship and educational center. Helbing Lipp Recny Architects responded by taking advantage of the higher structure in half of the warehouse, converting it into a worship space that seats about 850 worshippers and a large gathering foyer with a prominent entry canopy. The balance of the warehouse was converted into classrooms, a large youth space, a nursery, and new restrooms. The existing office area was redone to become the church’s offices, conference rooms and a small recording studio. The result is a space that is appropriate for the church’s vibrant ministry and solves its immediate needs which gives them time to continue the search for a larger property.